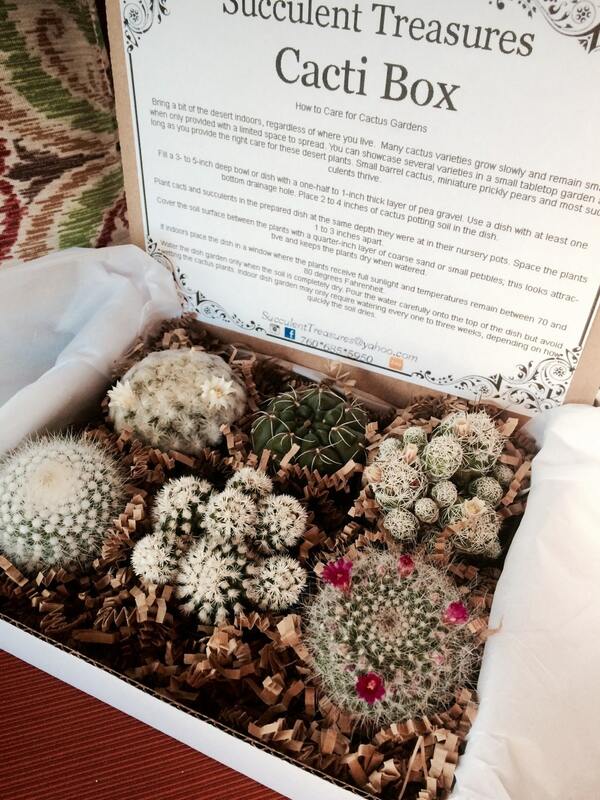 Our boxes are made up of a half dozen cactus. Assortments are of 2.5" rooted premium plants. 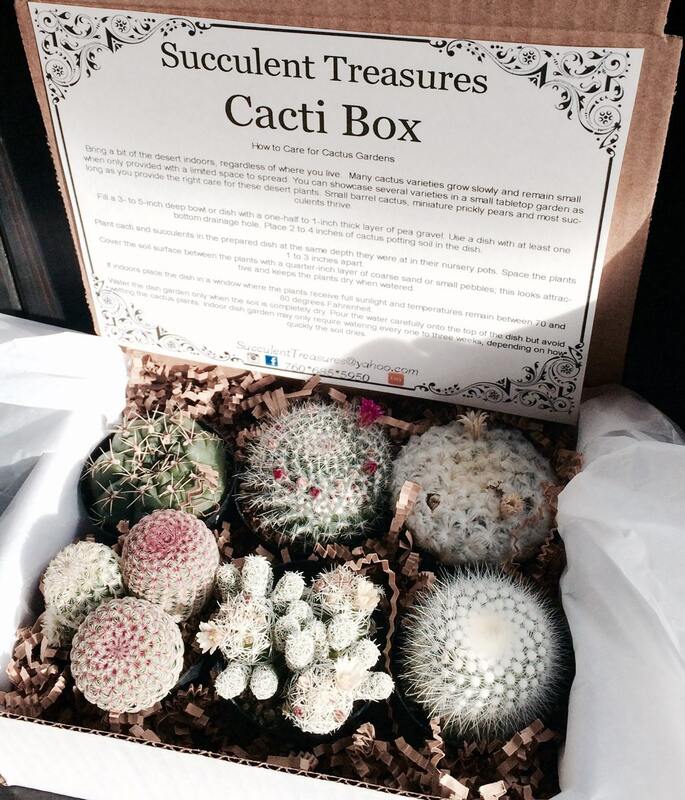 These are a great collection for yourself a friend or a loved one! Just in time for holiday gift giving. I try my best to get the same selection as shown but due to hybrids and the wide unique selections some boxes may slightly vary. These assortments are of excellent texture, color, quality and are fully rooted.